Judging by the Cover – 2/7/18 new releases – AiPT! Madeleine and Eric select the best covers from this week’s new comic releases. In that spirit, here are the covers that captured contributors Madeleine Sisco and Eric Cline’s attention this week. Juan Ferreyra has done some great covers for Green Arrow since he started doing the interiors, but this one might be my favorite to date. It’s visually striking first and foremost, and it does what a good cover should by making potential readers want to become actual readers. Even without detail, the framing of Emiko tearing an arrow out of her chest is visceral, as is the interior of that frame of Ollie’s grief-stricken face. 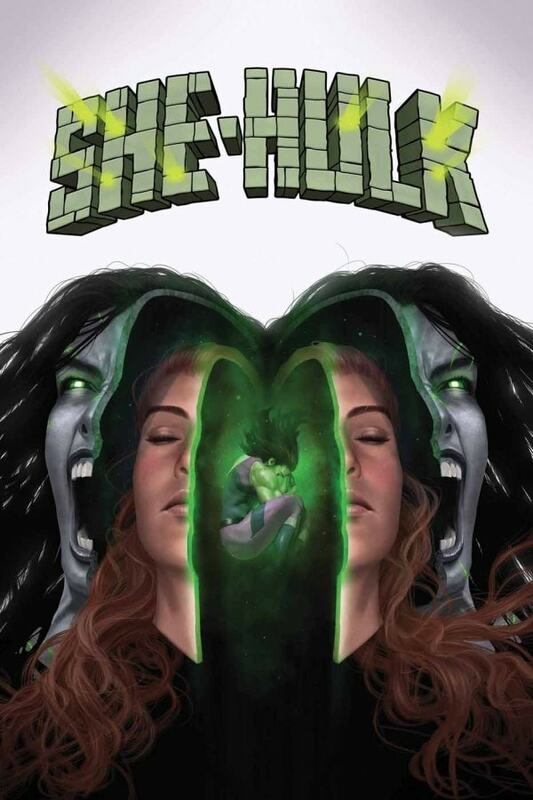 This cover made me feel the pain and terror that these two characters are feeling, even if I’m 10 issues behind on the series. The pink and blue has great contrast, and I also really like the backdrop having texture and not just being a solid color. This cover gets a 10/10 from me. Whose inner-monkey brain doesn’t get a little excited at the visual of things inside of other things? There has to be some kind of hardwiring in our system that makes Russian nesting dolls so weirdly appealing, and this cover really taps into that. Again the covers that Rahzzah has been doing, for not only this series but Luke Cage as well, have been continually fantastic (I also really loved Rahzzah’s variant for Generation X #1). The level of detail bordering on hyper-realism is somewhat unsettling at times, but it catches your eye and makes you want to look at it up close for the littlest detail. I also really like the glow effect with the flecks of brimstone around the fetal position with Jen at the center. This cover is beautifully rendered and fantastically expresses the core ideas of this series about PTSD and mental illness. If nothing else, it belongs in the Oddly Satisfying Reddit. I’m going to bend the rules a little bit here and combine two covers into one of my picks. Both the A and B covers for Rose #8 caught my eye. Ig Guara has a pretty style that uses fluid lines to express a very round and bubbly world. The A cover is intriguing with our hero standing in an offensive, almost ‘come at me, bro’ stance juxtaposed with a facial expression I can’t really put into words. The movement in her clothing is very natural, and the bouncy curls of her hair make me want to reach out and touch. The bird rising up behind her simply makes the piece, and for a rather monochrome cover, the entire thing is full of life. The B cover by Loopydave has almost the opposite feel as Rose charges toward us, riding a snarling panther. With Rose’s big hair and large determined eyes, it reminds me of a more realistic Wendy Pini/Elfquest piece. The stark contrast of the smoke effect rising up into the blackness makes the cover pop despite the same monochrome color palette as the A cover. I might just buy both these covers despite not having read Rose since issue #2. Kevin Wada’s painting here is beautiful. The desperation in Bobby’s face is fantastic, as is the coloration of his ice and the flames. The portrait of the original X-Men hanging in the corner is great as well; it conveys a lot without needing to use a single word. Talk about grabbing the reader’s attention! The way Rahzzah conveys Jen’s various selves here makes instant sense, and it’s a wonder we haven’t seen more images like this before. This cover is a perfect visual representation of Jen’s struggles across the series. I’m getting Tower of Babel vibes from this shot of Batman alone amongst all those beautifully illustrated skeletons. There’s a lot of white space here but it works; it’s stark and helps keep the focus where it’s most effective. J.G. Jones did a nice job all around on this one.